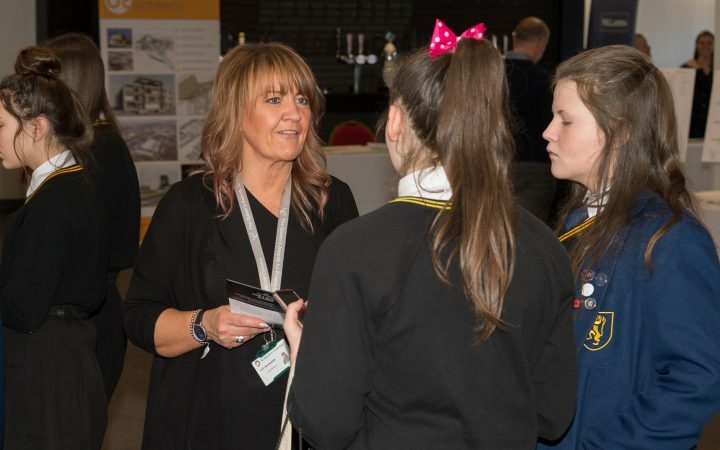 As part of our commitment to raise the aspirations of young people across the borough, Invest St Helens held a successful career fair where a number of businesses and organisations were on hand to provide support and advice to over 100 school pupils. Run through our Ambassadors programme, the ‘Believe and Achieve’ event at Saints’ Totally Wicked Stadium provided the chance for secondary and special needs school pupils to engage with over 30 businesses and organisations to find out the many exciting opportunities available to them after education and guide them on the path towards a successful future. The stall holders in attendance included St Helens Chamber, Merseyside Police, Merseyside Fire & Rescue Service, and businesses from the world of engineering and construction – as well as Rainford-based award-winning O2 franchise Communications Plus Ltd, which scooped Employer of the Year and the Pride of St Helens Business Award at the inaugural Pride of St Helens Business Awards in November 2018. 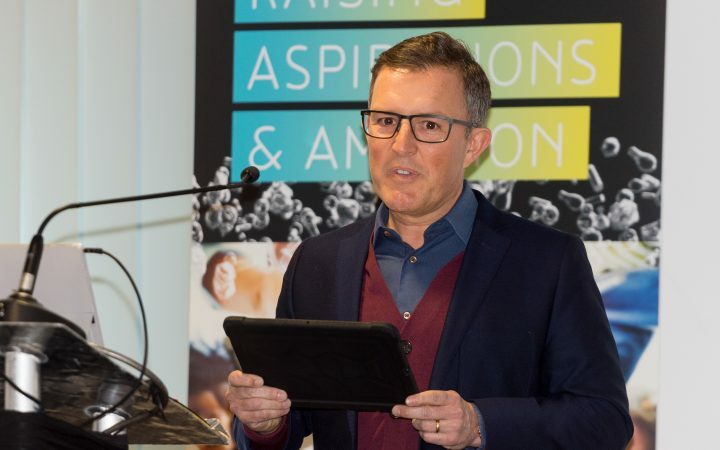 Earlier in the day, pupils heard inspiring speeches from influential figures of the borough including St Helens Council Chief Executive Mike Palin, St Helens R.F.C. and St Helens Economy Board Chairman Eamonn McManus, Communications Plus Ltd Chief Executive Steve Roberts, Steve Prescott Foundation Trustee Linzi Prescott, and former local care leaver turned consultant social worker Rachel Springford, who also read out a powerful speech delivered by the late, great Carole Hudson during International Women’s Week in 2010. 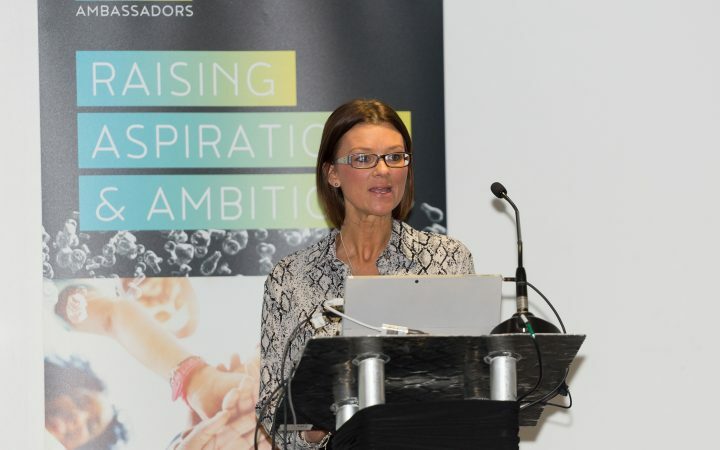 All speeches followed the theme of anything can be achieved – no matter your background – if you put your mind to it. CV writing tips and interview techniques were also shared with pupils, courtesy of Sue Haunch, a senior recruitment consultant from Lucam Consultancy. 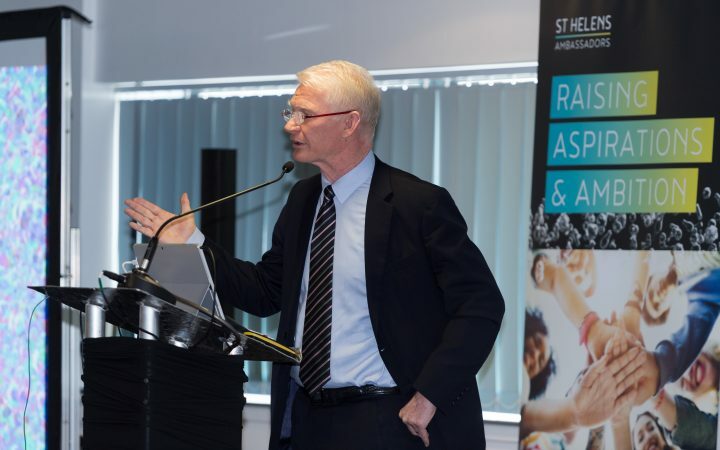 Stressing the need to change the perception of the borough, which has the second highest jobs growth of anywhere in the north of England, Palin said: “There are lots and lots and lots of opportunities available in St Helens. When I speak at events like this, I say that it’s the most important place in the country at this moment in time. “My one piece of advice is that if you think you’re good enough to do something – you are good enough to do something. There’s no rush to make any decisions in life, but think what lies ahead. 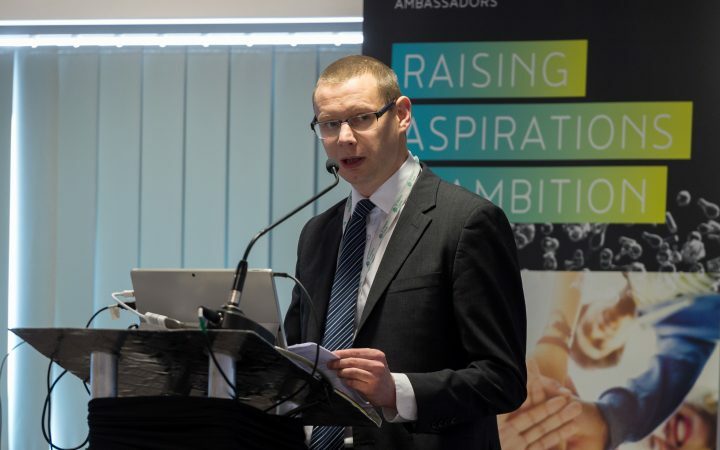 Launched in February 2018, our Ambassadors programme – which to date has over 100 local businesses and organisations, including schools, on board – works closely with local primary and secondary school head teachers and was set up with the sole purpose of attracting investment, business and visitors to the borough to create a more successful economy for the benefit of everyone.